In days not too long ago, many people regarded cosmetic surgery as an expensive exercise in vanity. Now, in an age when people are living longer than ever before, and remaining in the work force longer, the question of vanity goes out the window. Consider this: for the first time in history, women are living long past their child-bearing years. Not only that, they are expecting to have happy, vibrant lives. No longer relegated to being only grandma, and waiting to die, woman feel it is their right to be as attractive as they can be, well into their 60’s and 70’s. If that involves cosmetic surgery, well then, they are worth it. The attitude regarding “surgery vs. vanity” has changed drastically for men, as well. More men are availing themselves of a variety of procedures as a way to boost the odds of getting and keeping good jobs. With competition for jobs increasing for both sexes, the issue goes far beyond vanity – it’s become an economic necessity. Sometimes the decision regarding the “worth” of surgery, or of “surgery vs. vanity,” is easier to make if you equate the care and maintenance of your appearance to the maintenance of a piece of property. What would you think of the owners of property who allow it to become ramshackle? The doors and windows are sagging, the stairs are chipped, the whole place looks neglected and out-of-date? You wouldn’t think much of them. Why would you give your own appearance any less attention than a piece of property? You wouldn’t. You shouldn’t. You don’t have to. One of the more popular, least invasive, appearance enhancing procedures done at the SHAW Center is the SmartLipo Necklift. 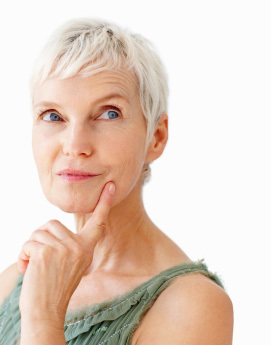 For both sexes, the first sign of aging is a “double chin”. Fat accumulates around the neck and jaw, pulling down the entire face. According to Dr. Shaw, “SmartLipo actually has the ability to tighten the skin by heating the dermis from the underside and causing contraction.” Dramatic results can be obtained in one procedure, erasing years off the faces of happy men and women. Don’t let doubts, uncertainties and too much worry about the opinions of others hinder your decision to update your look. There are so many new procedures available to improve your appearance. Dr. Lawrence Shaw and the SHAW Center invite you to call us for a consultation.